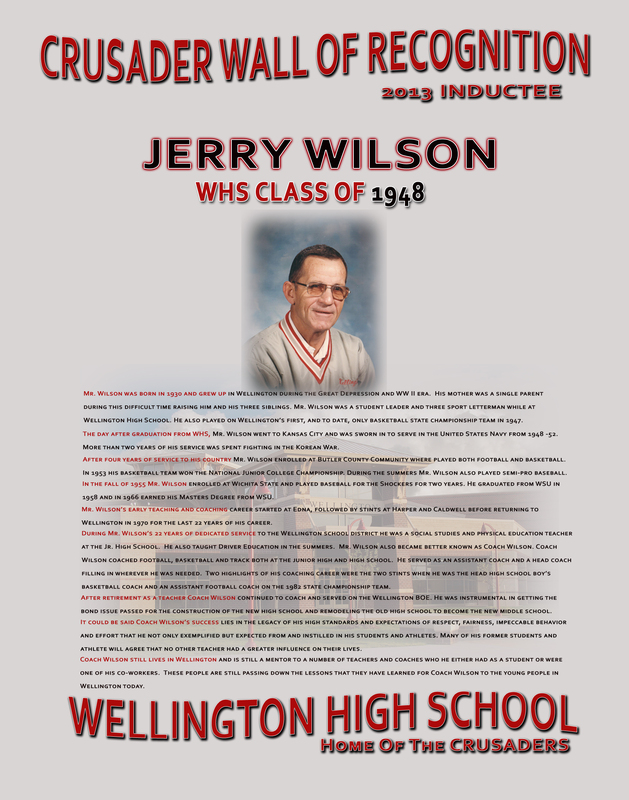 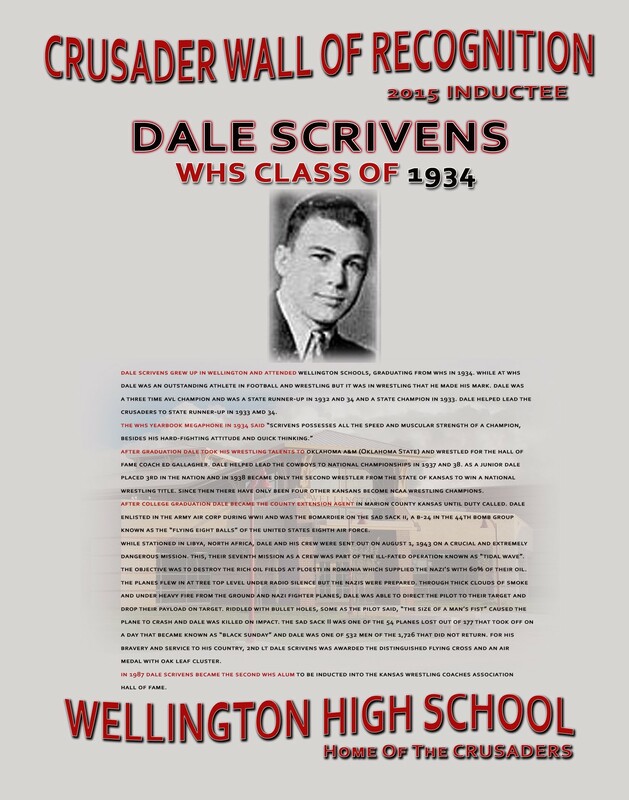 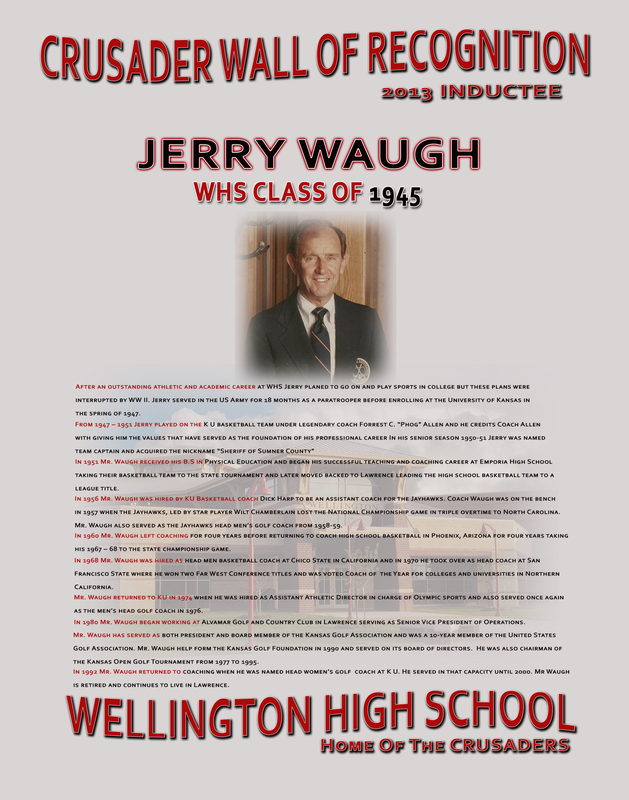 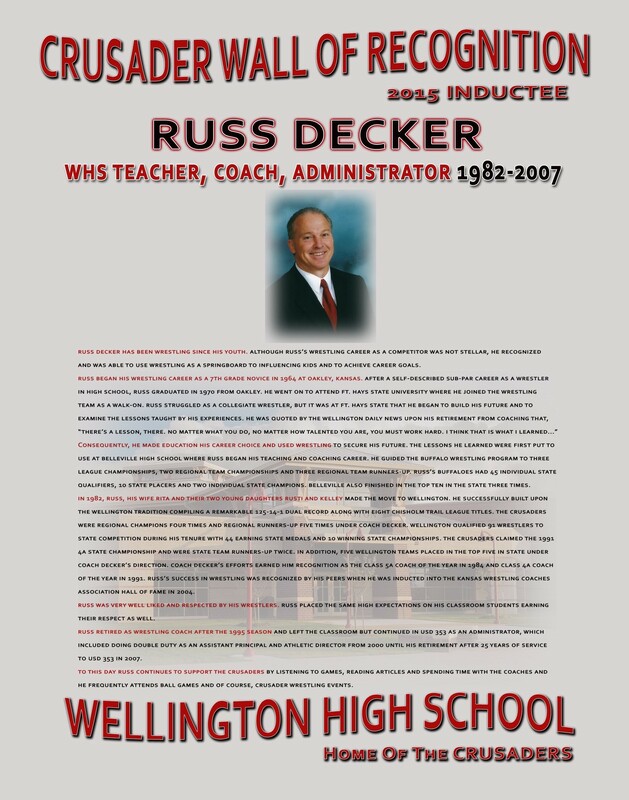 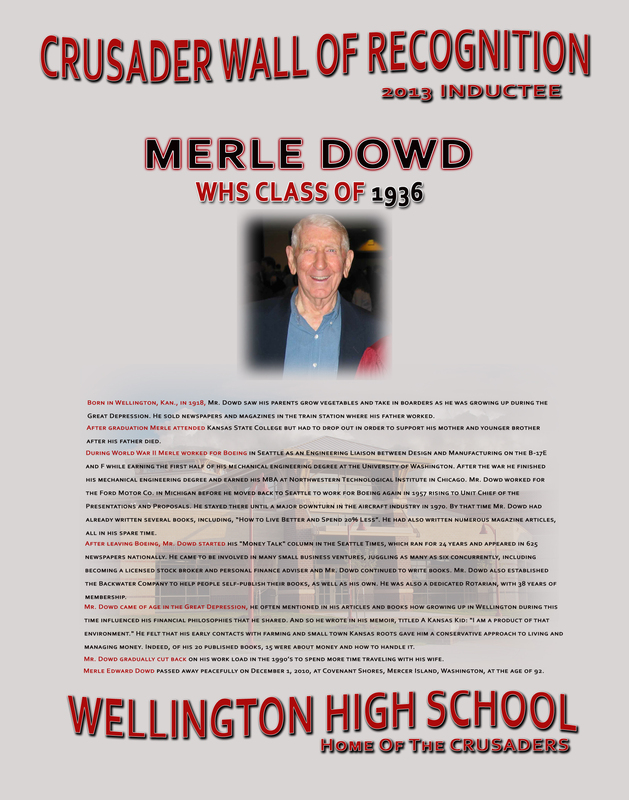 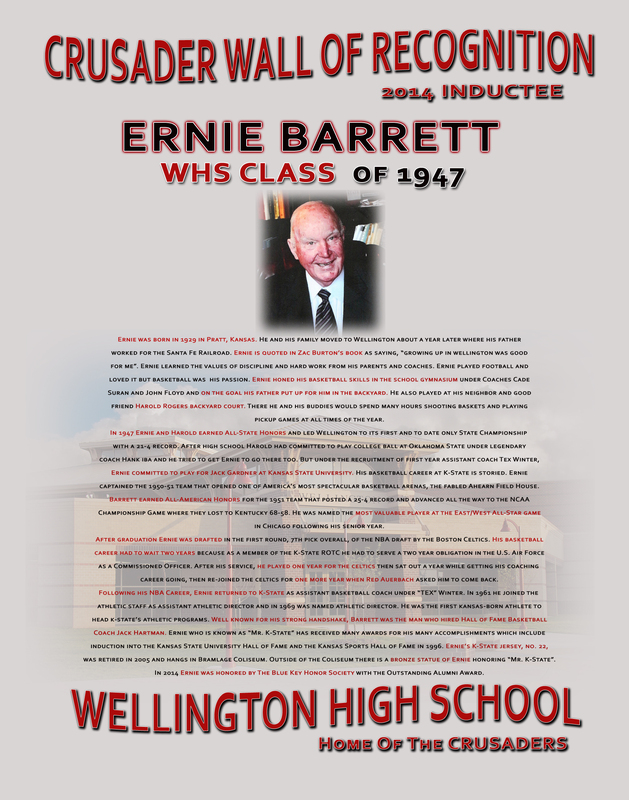 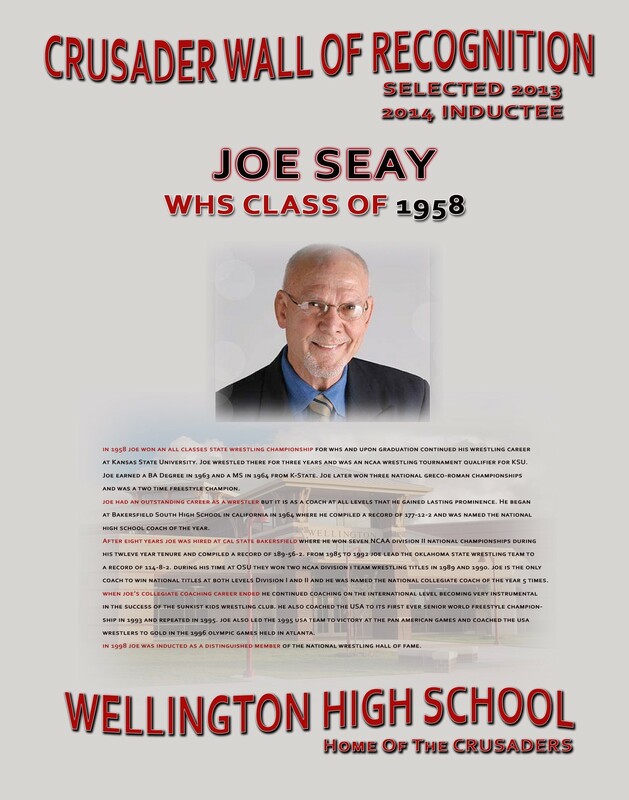 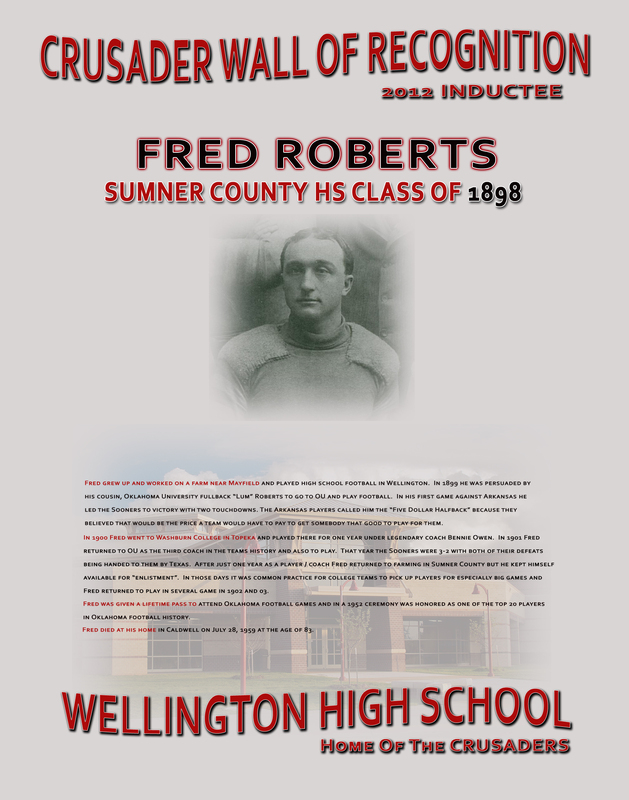 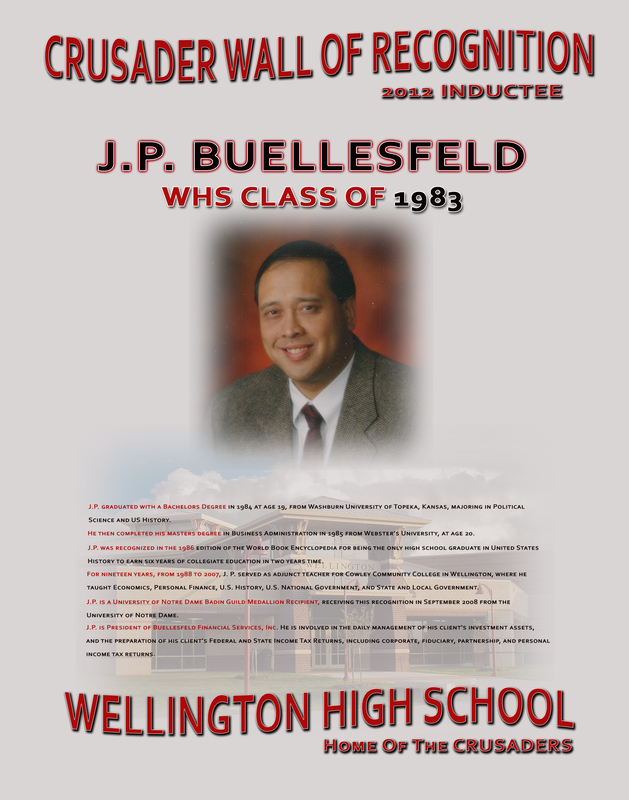 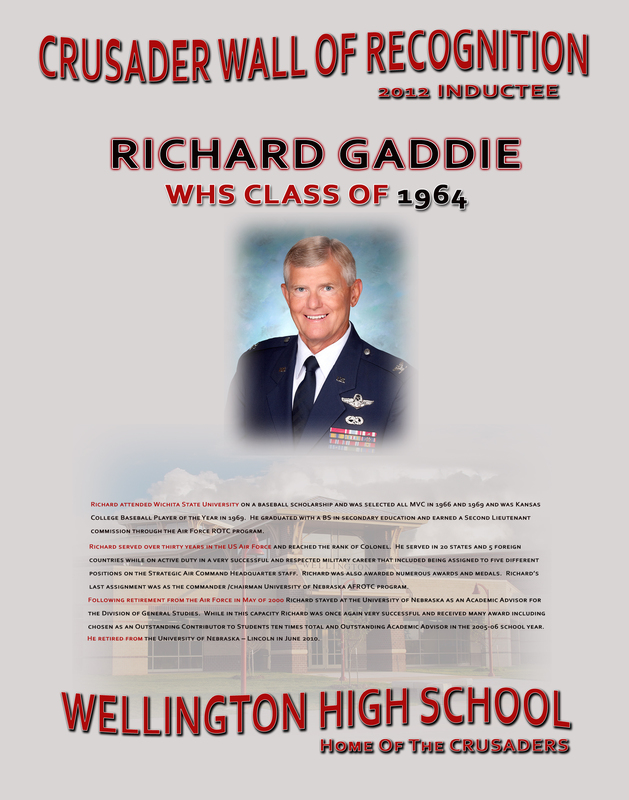 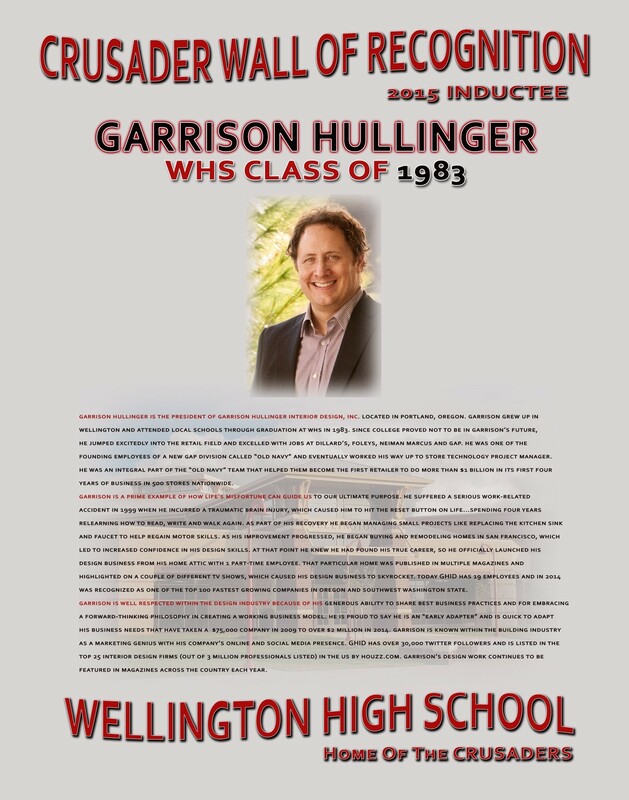 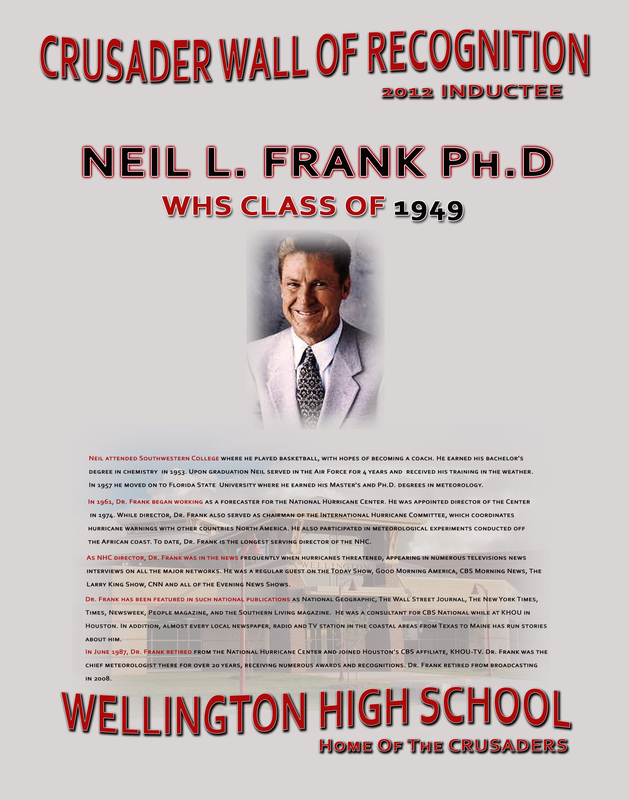 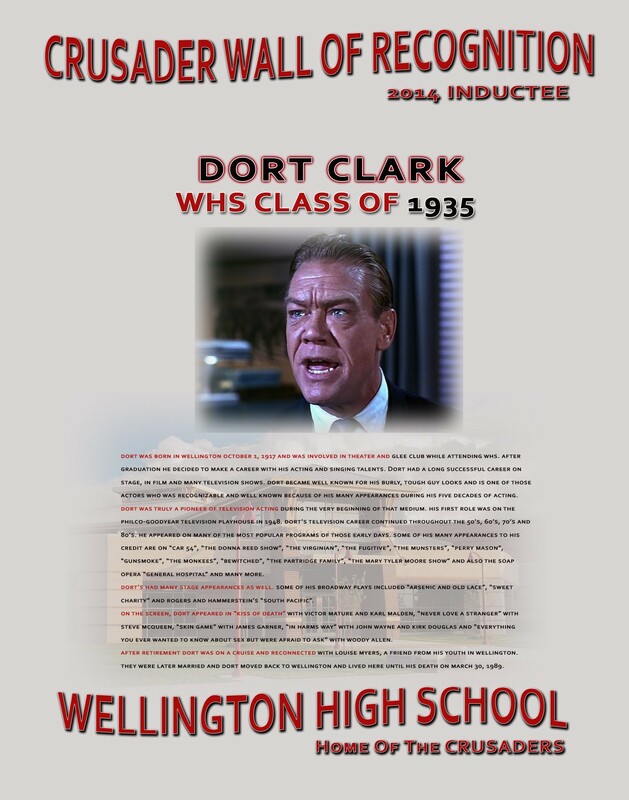 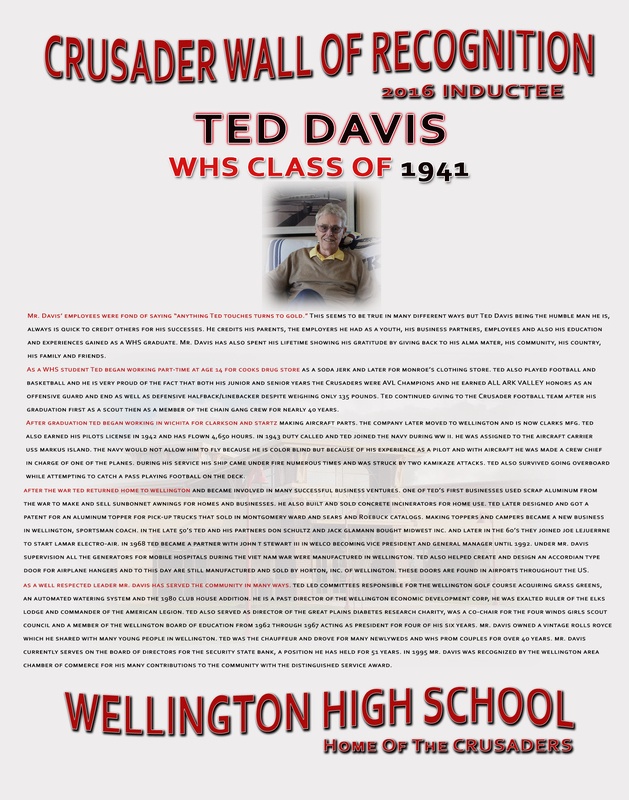 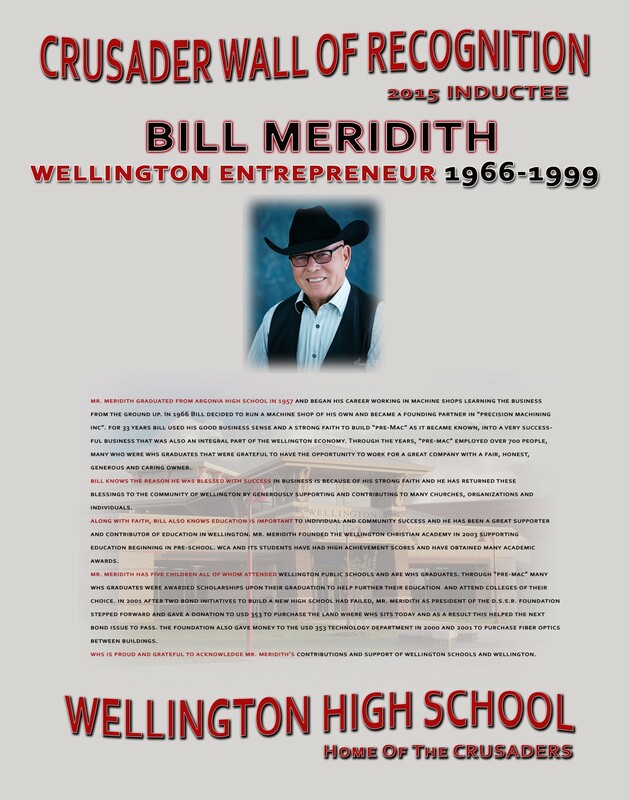 The 2016 Crusader Wall of Recognition Inductees were guests across Wellington May 12th, culminating in their introduction and presentations at the 2016 WHS Class Night held that evening at WHS. 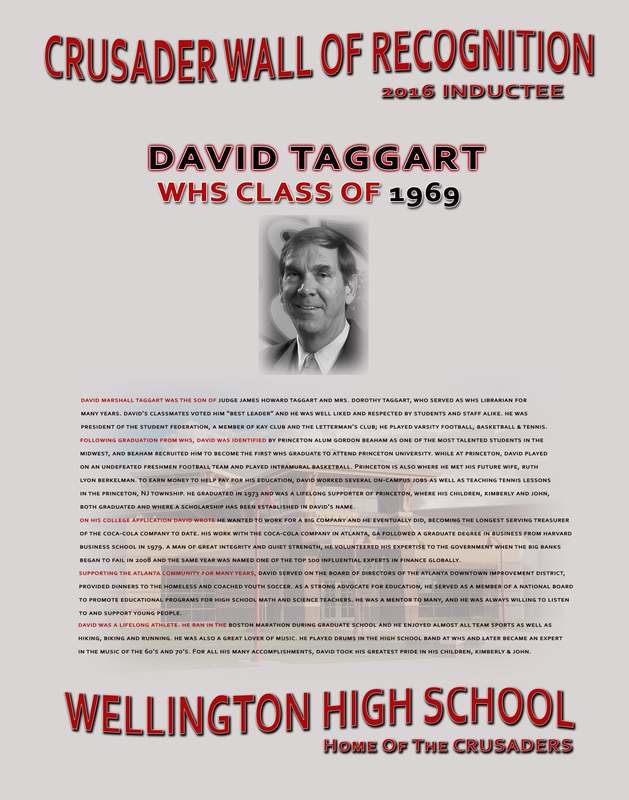 This year's inductees, L to R: Ted Davis, the late David Taggart (represented by his wife Ruth and son John) and Tenneil Cobb. 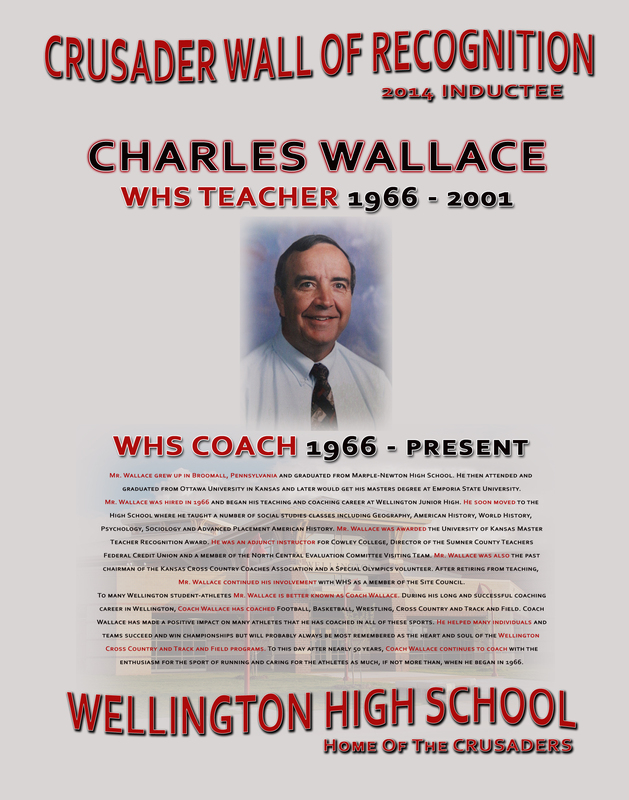 please submit the following nomination forms - thanks!